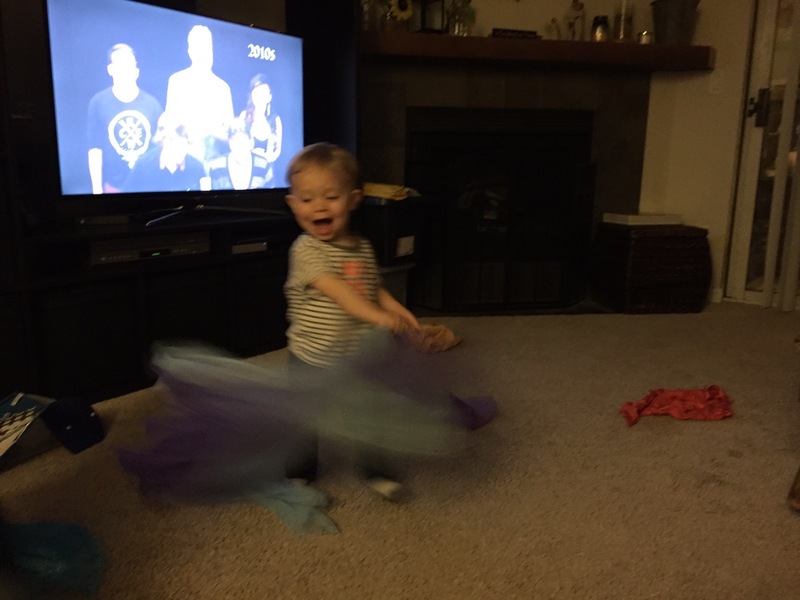 One of my sons’ favorite activities when Mom is out and Dad is in charge, is DANCE PARTY! 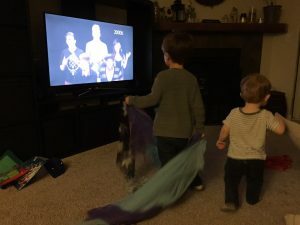 This is something that my husband came up with one evening when he was watching the kids. 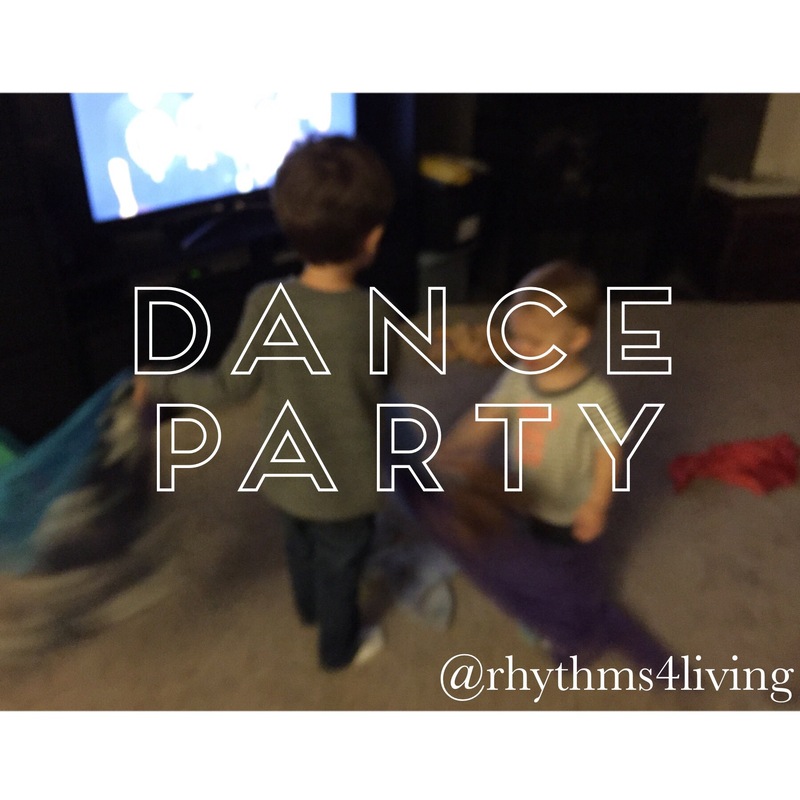 I came home and heard all about the awesome dance party they had. I was very curious and so I asked for another dance party so I could see what all the fun was. 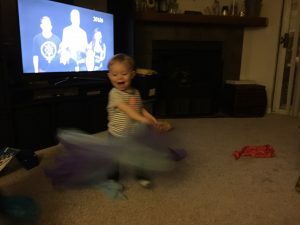 My husband puts on a YouTube video, whatever they can find that is fun to dance to, moves the coffee table and all the toys (a great way to get the toys cleaned up and put away with a fun reward at the end) and then they dance. Now we have added many variations. Sometimes we turn out the lights and give the kids glow sticks. 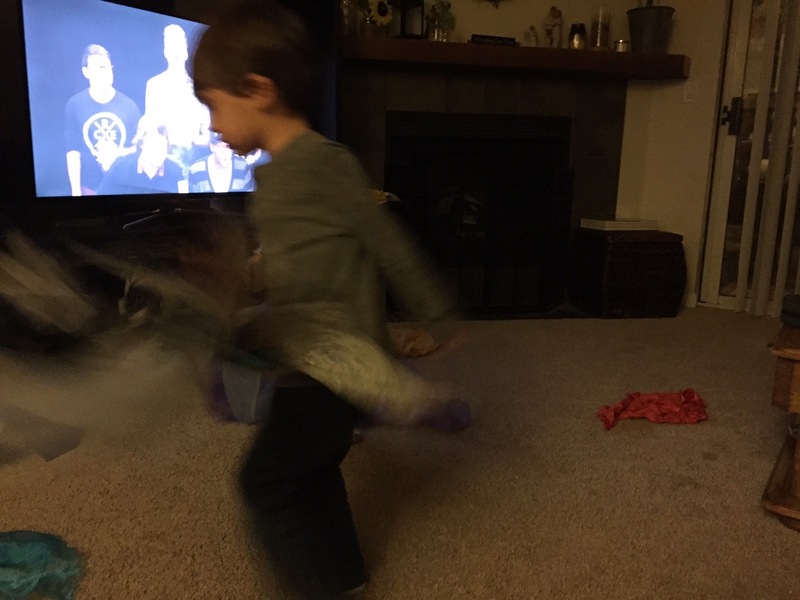 Sometimes we get out our dancing scarves or our dancing ribbons. Other times we get out simple percussion instruments like maracas, egg shakers, jingle bells, or lollipop drum. Some of the kid’s favorite videos to dance to are Pentatonix, Hillsong Young & Free, Laurie Berkner, the Cars Soundtrack, kid’s flash mobs. Really they will dance to anything with a good beat. They love hearing new music. And they love dancing! 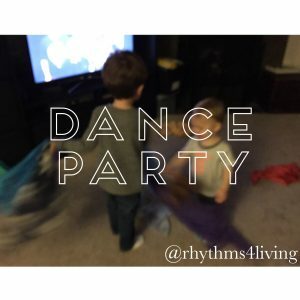 What are your favorite dance party jams?